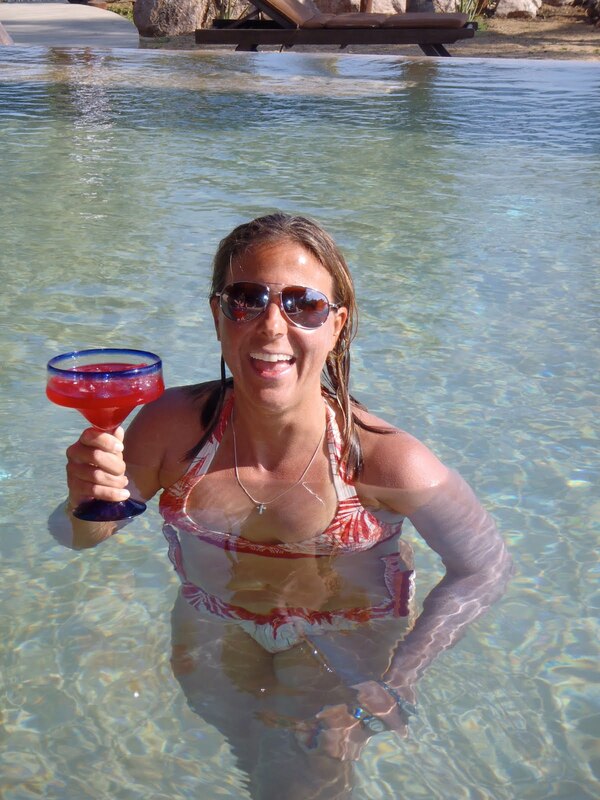 Kristy's Awesome Surf Adventures: Jamaica, the Future of Margarita Madness! Jamaica, the Future of Margarita Madness! 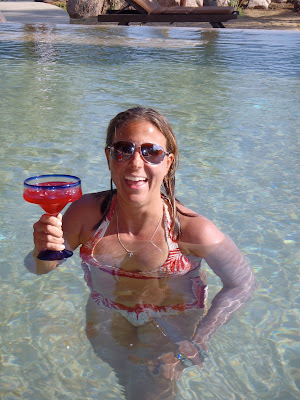 During our last surf adventure to Zihuatanejo I was introduced to a new species of margarita. The Jamaica Margarita. Now, I don't mean to toot my own horn, but for some time I have considered myself a connoisseur of the margarita and of the process of how to go about making one of these tropical, tequila, lime yummies. But alas, then came along Jocelyn, one of our star Siren Surf Adventure pupils. It's not just that in a few short years has Jocelyn's surfing improved significantly, but she too is a connoisseur of the finer things in life, one of those things the margarita. 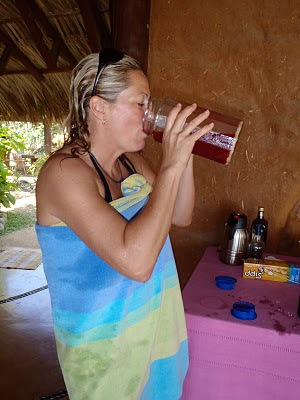 As luck would have it our chef, Elvira, always has our fridge stocked with beer, fresh OJ, and homemade jamaica juice. For those not schooled in the language of Mexican delights, jamaica is a type of hibiscus flower found in Mexico. The juice is made from steeping the dried flowers in water and adding just a touch of sweet - sugar, honey or agave nectar. When Jocelyn found out about the jamaica in the fridge, she quickly went to work incorporating all the goodness till low and behold the limey green of the OG Margarita had transformed into the color of a Zihuatanejo sunset! It's hard to say what happened next, but believe me the equation surf + sun + massage + pool + jamaica margaritas = one heck of a good time!